Chinese Kungfu, also called Chinese martial arts, is one of the precious parts of Chinese culture. 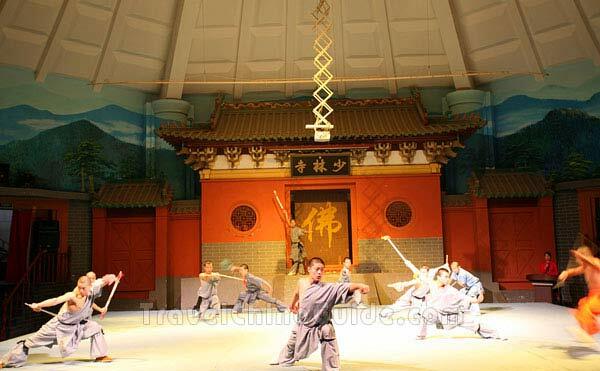 Shaolin Temple Kungfu is the most famous one among many families of martial arts. It has hundreds of martial types: boxing, cudgel, broadsword, spear, virgin boy exercise, Chikung, Neikung, Qinggong, etc. what will a beginner do to learn Kungfu? They will do som strength training, then basic moves.